The 26th edition of the Basque Business Evening, organized by the Basque Business and Society Foundation, sponsored by Kutxabank, and with collaboration from Inbisa and Dinof, paid homage to the business career of Javier Roquero Ussía, co-founder and Managing Director of electronic access systems manufacturer Salto Systems, with the award Basque Business Person of the Year 2016. The jury also recognized the work of Indar, Gipuzkoa manufacturer of electrical rotating machinery, with the Made in Euskadi award and the Álava cooperative RPK, automotive spring manufacturer, with the Business Innovation award. 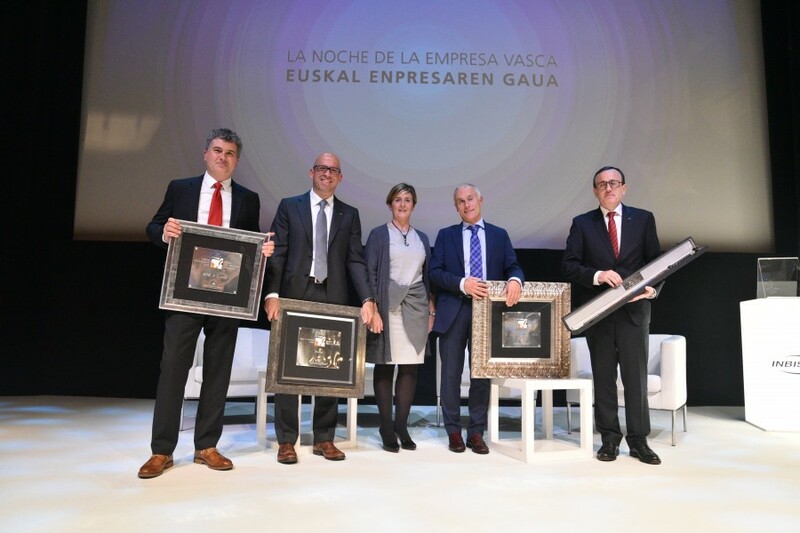 The fourth award in the gala, the Euskal Makila award, went to the engineering firm Dürr Systems Spain in recognition of over 40 years’ service to the automotive industry from the company headquarters in Donostia-San Sebastián. According to tradition, the awards were presented by the winners of the previous edition. 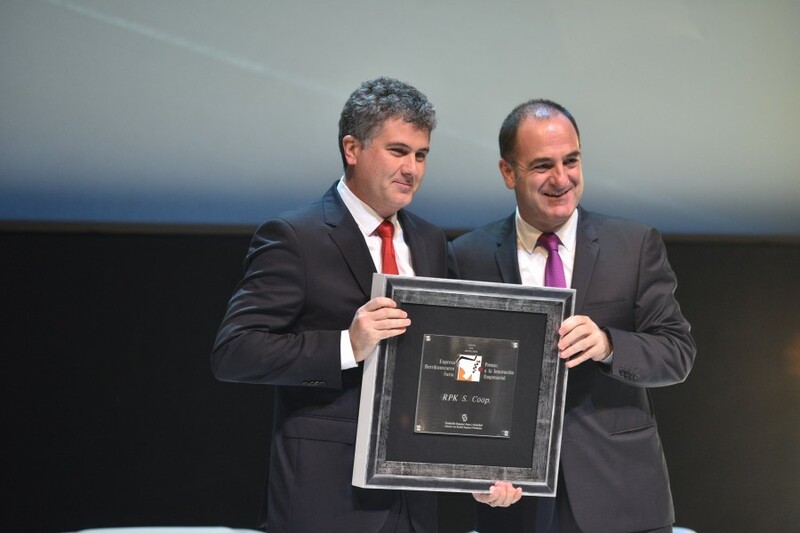 Hence it was Antón Pradera, President of CIE Automotive, who handed Javier Roquero the plaque recognizing him as Basque Business Person of the Year. Alex Belaustegi, Managing Director of Indar, was presented the Made in Euskadi award by Jon Fernández, Managing Director of Orbea and Ricardo Romo, Managing Director of RPK, was handed the plaque awarded for Business Innovation by the Managing Director of Ibarmia Innovatek, Koldo Arandia. The Basque Business Evening, held at the Guggenheim Museum Bilbao, was brought to a close with the presentation of the ‘Euskal Makila’ award to the company Dürr Systems Spain, represented by the company’s Executive President Luis Echeveste, by the Basque Government Minister for Economic Development and Infrastructures, Arantxa Tapia, who presided over and gave the closing speech at the Basque Business Evening. The Managing Director of Kutxabank, Javier García Lurueña, who gave the opening speech, was also present at the gala.